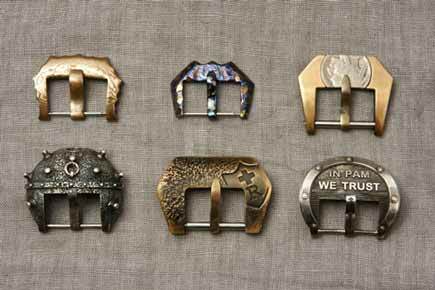 We manufacture and sell handmade watch straps and buckles! Wrist watch today is a stylish accessory, an indicator of your taste and personality. 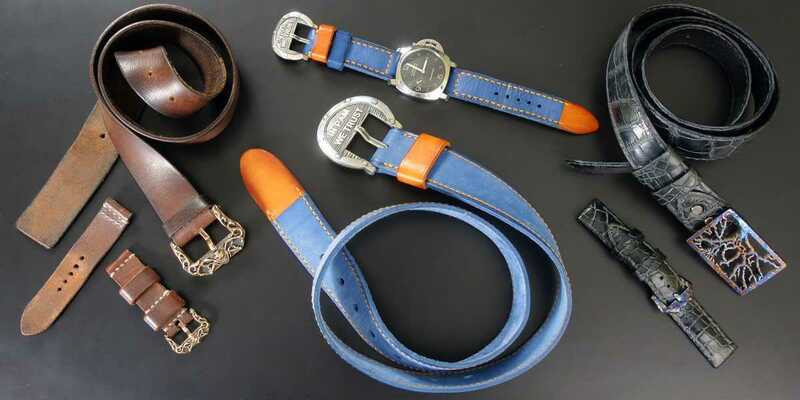 Due to the beautiful leather strap or attracting the eyes of the surrounding buckles you can enhance their beauty. 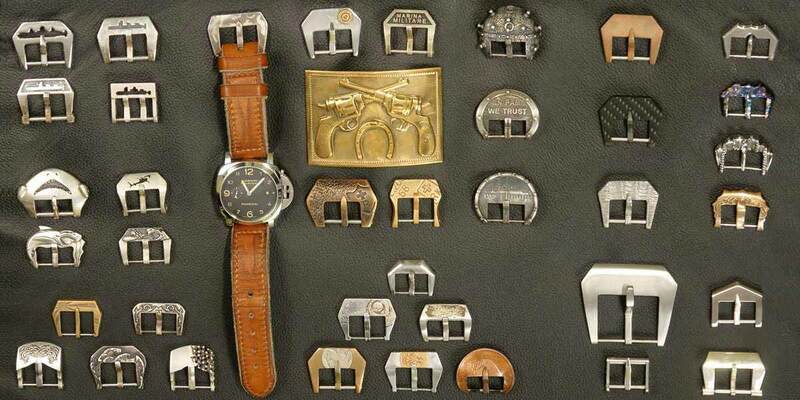 Our store offers leather straps and handmade buckles for Panerai watches, as well as any other watch brands from tested workshops of Russia, Ukraine, Belarus, Austria, Sweden. 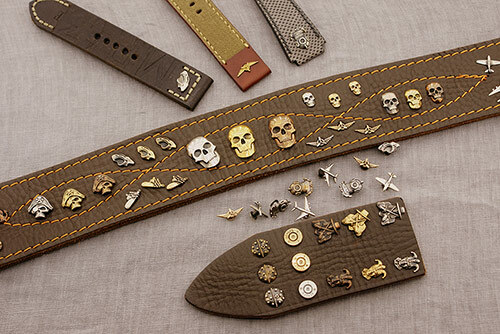 12 workshops and more than 1500 samples of straps and buckles of our catalog are guaranteed to be able to pick up the natural leather and design! 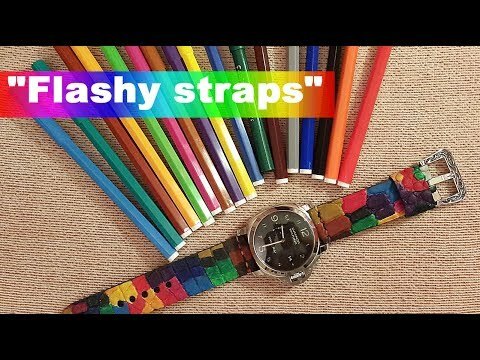 At us it is possible to order a waist belt from the same skin, as watch strap. 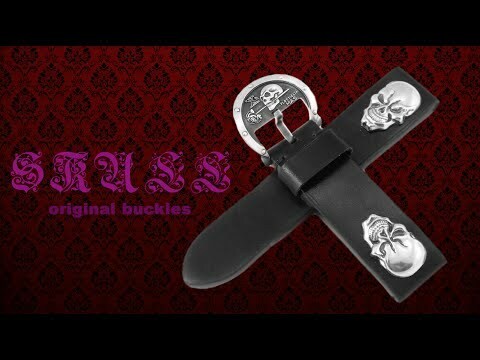 And to a small buckle to pick up its increased analog for the waist belt. 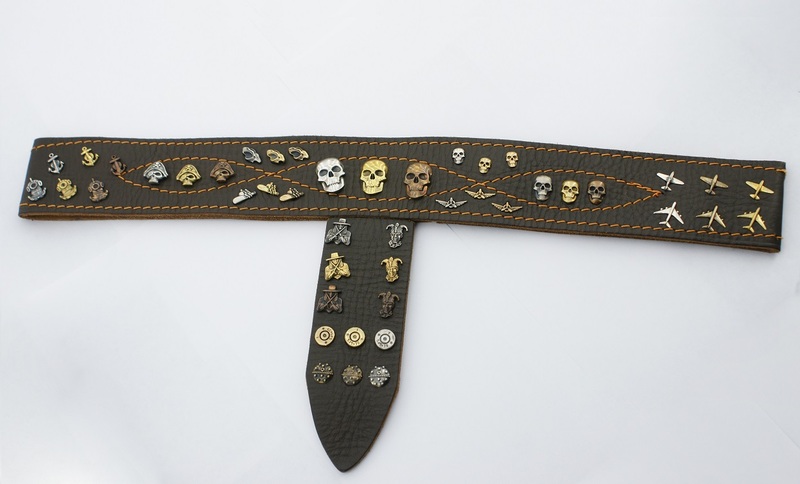 Thus you will create a unique stylish ensemble of leather and metal. To store watch straps, buckles, screwdrivers, pushers, and also the watches we offer compact and convenient case-organizers. We are ready to fulfill the order of any complexity in a qualitative way, at the same time it is cheaper and faster than the on-line production. 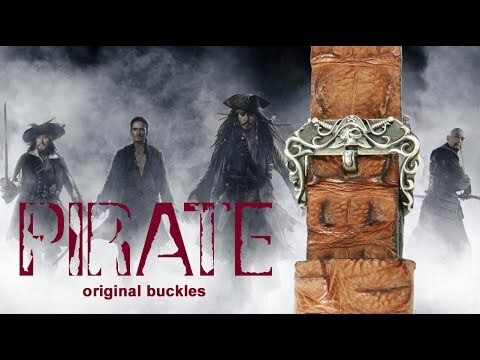 Fixed prices for buckles and cases are listed in the catalog, and the cost of the strap can be called only after taking into account all your wishes. You can focus on the following prices: a simple strap made of calf leather costs 125 usd, strap of exotic leather from 145 usd. At complex orders pleasant discounts are given. 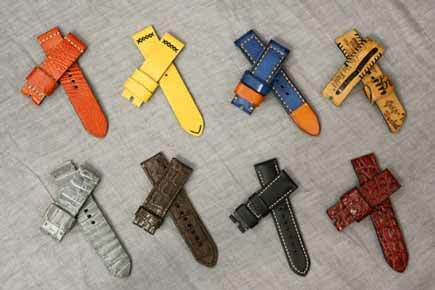 The manufacturing time of the strap or buckle is from two weeks, depending on the material selected. Let us know your wishes, and we will try to satisfy them promptly, offering the most suitable options! With us you will get not only accessories for watches, but also wonderful emotions! 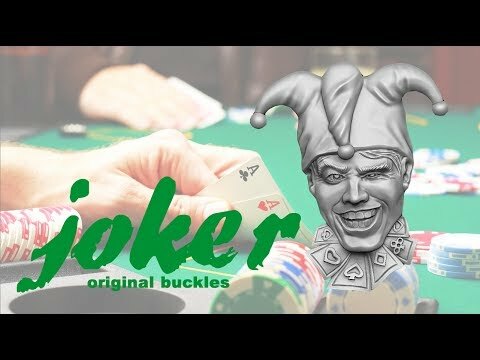 More videos about watch straps and buckles are on our YouTube-channel! Share photos from your orders in our Instagram!